Home » Blog » Drink Up! Your body functions best when it’s properly hydrated, and staying well hydrated makes all the difference when it comes to your health. Having a solid plan for drinking enough is essential! Here are 5 tips for helping you get the amount of water that you need everyday. 1. Keep a water bottle handy – Use a refillable water bottle that you can refill before you leave the house with water that you know is healthy. The size, type and color is up to you, but a water bottle that works well for your lifestyle is the best tool you can have to make sure you are getting all of the water you need every single day. 2. Make a plan – It’s good to know how much water is your daily goal and how many times you need to refill your water bottle throughout the day. The right amount depends on your height, weight and activity level so everyone has to figure out his or her own daily amount. 3. Infuse some fruit into your water – Try an infusion pitcher filled with fruit that you can fill with water and keep it in the fridge as another healthy option. It’s a delicious way to increase water consumption. 4. Keep some water where you need it – Keep a carafe of water at your bedside so you always have your filtered water within reach. When you get thirsty in the middle of the night, make sure you have some water near by so you can give your body what it needs. 5. Keep track of your intake – Keep a water tracking chart or add ‘drink water’ to your calendar as a reminder to keep drinking! Maybe write yourself some reminders on sticky notes and keep them in places where you will be reminded to drink water. Water is water, right? Wrong. Tap water can contain contaminants that make your water more dangerous than healthy. 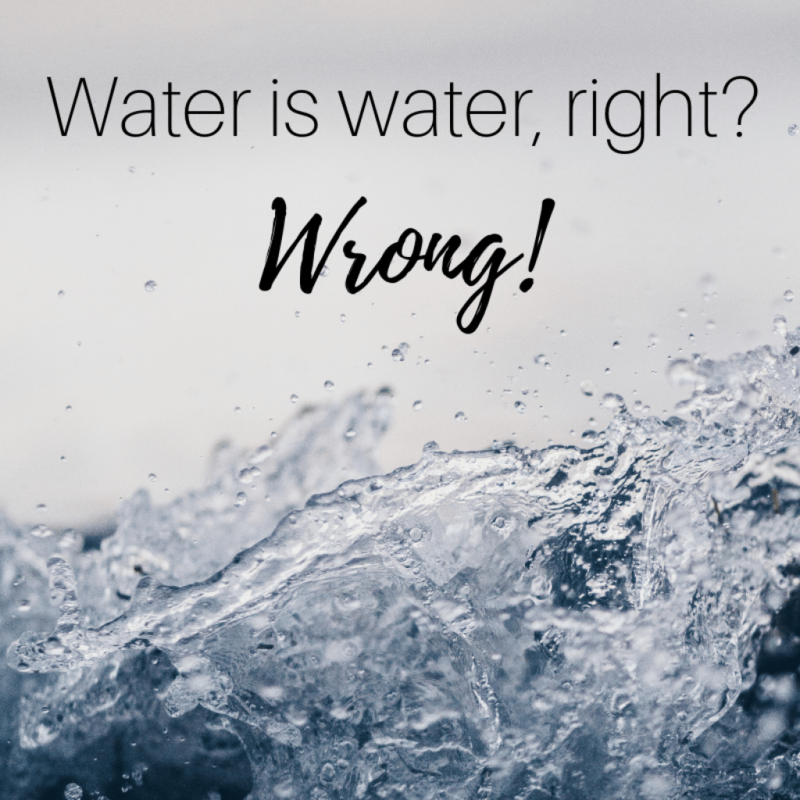 It’s not only important to focus on drinking enough water, it’s also necessary to consider what is in, or not in, the water that you are drinking. The secret ingredient that helps with all of these tips is an easy-to-install Countertop Water Filter to help you get fresh-tasting, healthier water straight from the tap. The Countertop Filter for Heavy Metals reduces the lead, chlorine, traced pharmaceuticals, and sediment found in our drinking water that comes from the tap in our homes. It can also remove any foul taste and odor, Giardia Cryptosporidium Cysts as well as toxic chemicals, pesticides and nitrates commonly found in residential water supplies. This easy to install filter is good for 2,500 gallons (or 2 years of use@ $.05 per gallon!) and can go with you when you move. It comes assembled and ready to be installed in minutes. It’s important to be aware of the chemicals and toxins that we can consume when we don’t pay attention to the tap water coming into our homes. By getting enough water and making sure it’s the healthy water that is best for our bodies, we can take a positive step toward better health for your family. AquaBelle offers the most effective and inexpensive solutions to residential and commercial water filtration problems. As a leading manufacturer in the residential and commercial water purification markets, AquaBelle has developed specialty water filtration systems to remove heavy metals, fluoride, and bacteria. AquaBelle is dedicated to providing inexpensive quality water filtration systems to residential customers. Do I Need A Shower Filter?